We know the extremes shooters will go to in quest of a prize. Whether it’s a trophy elk or a competition medal, complete concentration and unswerving accuracy are absolutely necessary to make every critical shot. At the moment of truth, a shooter requires total confidence that his gun will perform precisely—time after time—the perfect extension of the shooter’s will. To achieve that level of confidence, an experienced shooter will pay meticulous attention to every detail. He’ll know his gun as well as his dog, his quarry and his own five senses. And he’ll go to extraordinary lengths to fine-tune his firearm so it performs flawlessly at the decisive moment. With that in mind, we at Hoppe’s design our products to satisfy these same extraordinary demands. Our cleaners and lubricants are formulated with distinctive ingredients and tested to perform under extremes of weather and temperature. So, while you might not always be sighting in on an antelope on a hot, dusty Wyoming prairie, it’s nice to know your gun could handle it if you needed it to. 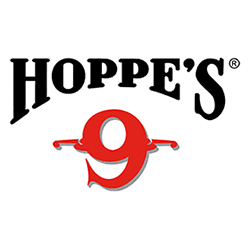 For over 100 years, Hoppe’s has earned the reputation as “The Gun Care People.” Gun care is our home territory, and we know it as well as you know your favorite haunts. This is the best advice we can give on gun care, gained through over a century of experience in the laboratory, in the field and on the shooting range.